I decided to post this blog also on the main page of my blog, not just in the training journal because I think everyone can relate to it. I have had better days.. The swim was easy, and I purposefully went slower than normal to warm up. 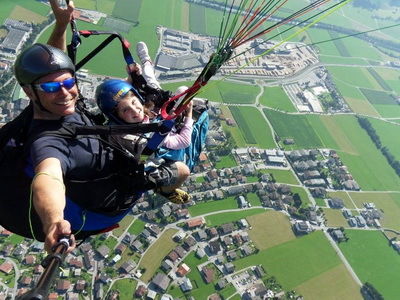 Three days ago, (here in Austria) my 7 year old daughter, Giovanna saw paragliders in the air and ask me if she could go paragliding. The next two workouts are easy and then I have a day off on thursday — friday is my 2nd test.